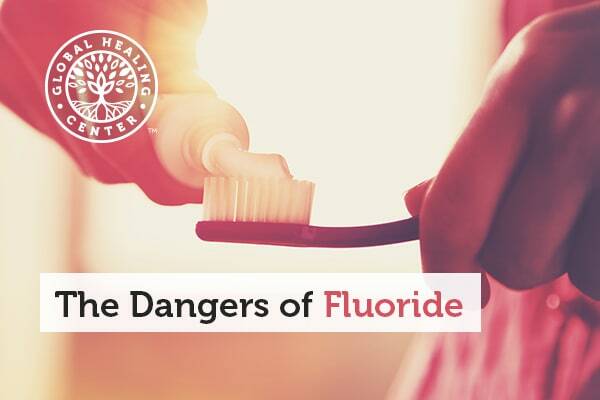 Fluoride is one of the most toxic substances known to man, yet based on its inclusion in virtually every brand of toothpaste, the American Dental Association believes it's okay to use fluoride for preventative dental care. Other products, such as bottled water, infant formulas, and even vitamin supplements, now contain fluoride! 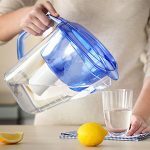 In 2002, nearly 90 percent of the U.S. population was supplied water via public water systems, and around 67 percent of that number received fluoridated water. This occurred in spite of the fact, "No statistically significant differences were found in the decay rates of permanent teeth or the percentages of decay-free children in the fluoridated, non-fluoridated, and partially fluoridated areas." Material Safety Data Sheets (MSDS) typically label sodium fluoride as "...toxic by ingestion, inhalation and skin contact" and that PPE (personal protection equipment) for handling should include safety glasses and gloves. Fluorides are more toxic than lead and only slightly less poisonous than arsenic... and these toxins can enter your body from brushing your teeth or rinsing with many popular dental care products! Fluoride compounds are still purposefully added to water in many areas (in a process known as fluoridation) and are used in most brands of toothpaste to help prevent tooth decay. However, fluoride has never been proven to significantly aid in protecting teeth from the development of cavities. 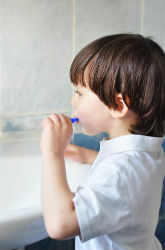 Every year Poison Control centers receive thousands of calls from people reporting excessive consumption of fluoride-containing products, such as vitamins, toothpaste, mouthwash, etc. Fluoride poisoning severely damages the body and can be fatal. This lethal chemical creates a toxic state that can cause a variety of harmful effects. Practically all of the beverages sold in stores use tap water. The customers who drink those beverages ingest a fair amount of added fluoride. 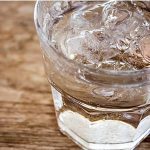 When the availability of such beverages is combined with the amount of fluoridated tap water, one can appreciate the high level of fluoride in the present-day diet. 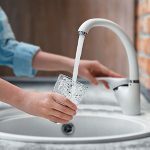 The practice of water fluoridation has been rejected or banned in several countries including China, Austria, Belgium, Finland, Germany, Denmark, Norway, Sweden, the Netherlands, Hungary, and Japan. Nearly all of Europe's water supply is fluoride-free, and thankfully, many American communities realize this is the healthier choice. More than 45 U.S. cities have rejected the process of water fluoridation since 1990. Now, if the remaining 30,000 will follow along, the entire nation will have access to fluoride-free water. With all this knowledge and current research demonstrating the harmful effects of fluoride, can you believe a company (DS Waters of America Inc.) would market bottled water for children containing this toxin? Nursery®, for infants, advertises on the label that it has "added fluoride"! 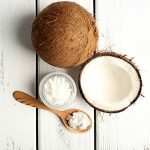 Furthermore, this company goes on to state, "If you make a choice not to breastfeed, you can still give your baby all the nutrients he/she needs with commercial formula." Of course, the manufacturer would stand to profit from this advice as they subtly suggest "Nursery® can be ideal for mixing with baby formulas". To support their position, the company misconstrues "recommendations" from the American Academy of Pediatrics and the FDA that chemically synthesized formula is just as good as real breast milk. DS Waters' "research" was obtained from the website of a doctor whose tradition-oriented childcare theories have been all but invalidated, misguided, and just plain harmful to your child's development! If you're interested in the real truth about the dangers of fluoride, check out the documentary, Fluoride: Poison on Tap. It explains the magnitude of the fluoride situation and I was even fortunate enough to be a part of it. In a medical laboratory, technicians can measure blood levels for the amount of calcium and potassium. Both hypocalcemia (too little calcium) and hyperkalemia (too much potassium) can indicate that a patient has been exposed to an excess amount of fluoride. Our children are being affected and they don't even know it! Twenty years from now, when all of these substances have been banned as cancer-causing agents, many adults will be asking, "Mom, Dad, Why did you feed me all of these toxic chemicals?" What will you say to your child? "Sorry, the manufacturer said it was OK"? Schellenberg D, et al. Lack of effect of fluoride on reproductive performance and development in Shetland sheepdogs. Vet Hum Toxicol. 1990 Aug;32(4):309-14. Erratum in: Vet Hum Toxicol 1990 Dec;32(6):527. Michael Connett, Tara Blank. Fluoride & Intelligence: The 36 Studies. Fluoride Action Network. 2012 December 9.